Merry Christmas (Eve)! I have two outfits for you today. One is a more casual outfit that I wore shopping last weekend. I think it would go well with casual Christmas events, as well. Especially if your family isn't the type to dress up! My second outfit is a bit dressier. I love to wear dresses and skirts, so Christmas is that perfect excuse! Remember how I said I threw my black faux leather jacket back into the rotation? Well, here it is! 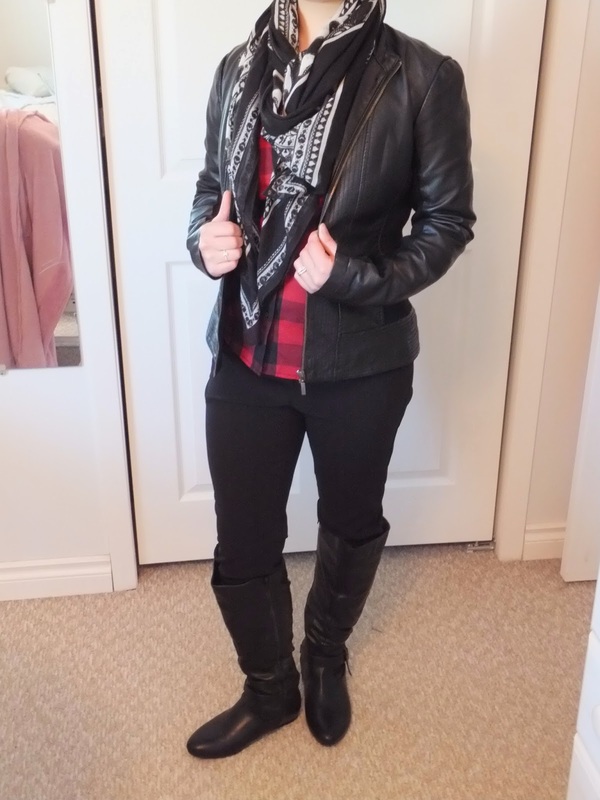 It adds shape to outfits and in this unusually warm weather, it is all the jacket I need! 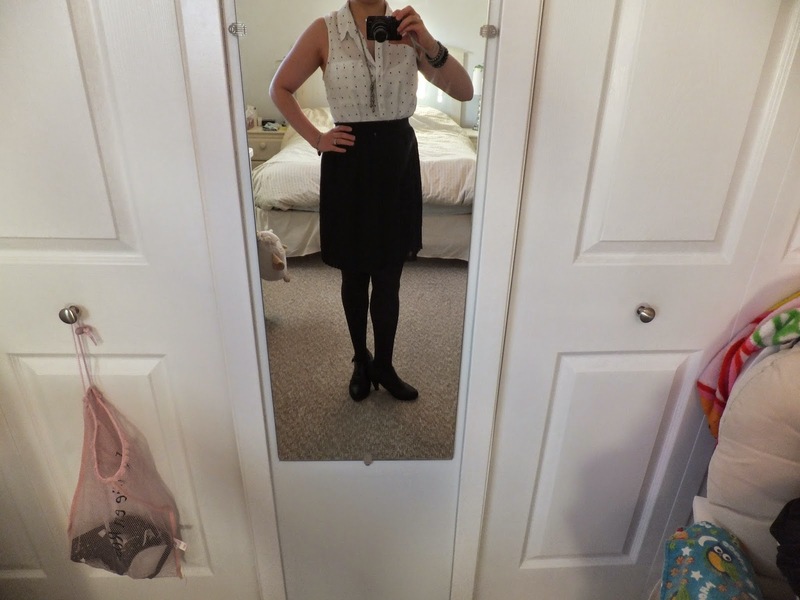 This outfit is super easy to wear (comfortable! ), but still looks put together! I love the red! So festive at this time of year! I love this outfit. 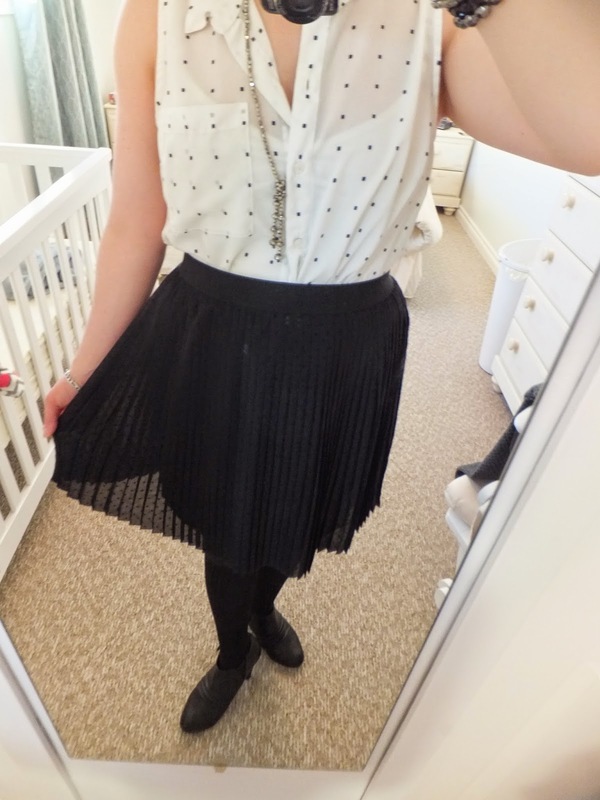 In the second picture I was trying to show you how cute this skirt is! Pleats! I love it! It is flowy and fun to wear. It also seems to do a good job masking the leftover baby belly that I am still working on. The sleeveless top is nice because it always seems to get so hot when we have a ton of people over! The black shooties blend nicely and polish of the outfit. Do you have an outfit to share? Perhaps your holiday outfit? 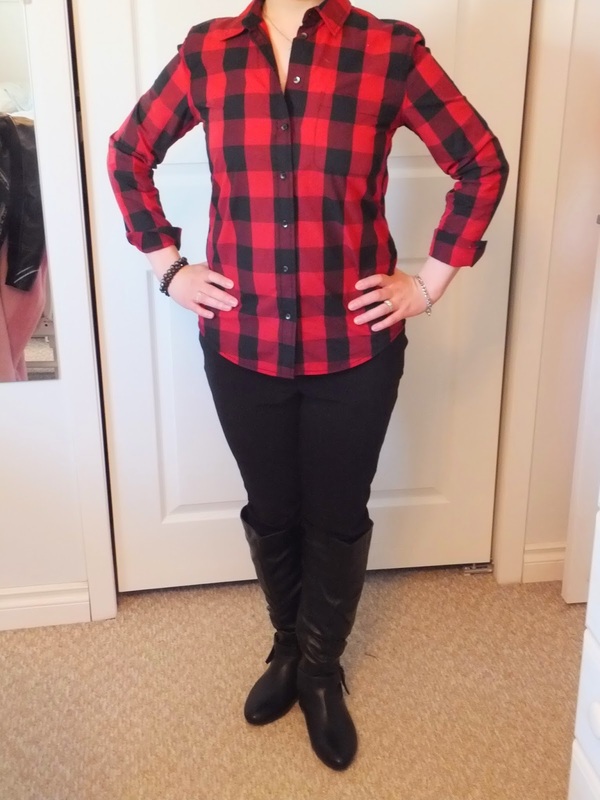 Tweet me @peacefulsimple with your #wardrobewednesday outfit! Merry Christmas! Happy Holidays! I wish you all a wonderful Christmas. May it be filled with love, laughter and peace. Please be safe out there! We will see you on Friday!